It was a day full of great memories for us all when we celebrated Asher’s 14th at Survival Game of Texas, in Houston. 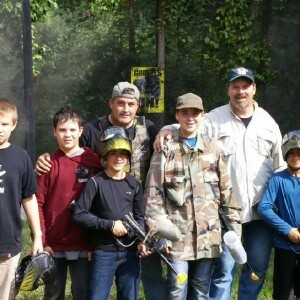 After 31 years of hosting paintball parties, Larry Cedillo, his wife Irma, sons Chris & Larry Jr. and all the staff truly set the bar high for our family fun. Every staff member ensured our entertainment was top-notch. Our referee, the consummate chaperone, kept ten 14 year-olds safe and entertained all day, making sure we enjoyed every minute. We started out on the Old-West Ghost Town with John in command of five boys. I took charge of the other five. The first game ended with our ref calling time as we defended The Saloon to a standoff. Watch the angles on this field! The Old-West-Ghost-Town is deceptively difficult. The next game began with my boys looking to me for a strategy. I split them down the sides while I did a suicide charge up the middle and was promptly shot to pieces by four boys waiting in The Saloon. The rest of the day, for me, went pretty much the same as we proceeded to the D-Day Field, then finished the day at The Castle Fields. It was a great day, and a great birthday for my nephew, Asher. It’s not easy playing a bunch of 14-year-olds. Can we go eat now? Paintball is such a unique sport because families and friends can gather to spend the day together and leave with stories to tell for years. Fathers and Sons, Mothers and Daughters, Brothers and Sisters and friends can settle some old rivalries or team up against others. Youth groups can tag their pastors on Saturday and then pray with a smile on Sunday. The boys invited me to join them anytime because, apparently, I’m fun to shoot. The truth is I’d go again tomorrow, and I didn’t feel a thing. Survival Game of Texas, LLC is open for play every weekend and during the week (for 10 or more). Paintball is for kids, young & old, ages 10-110. 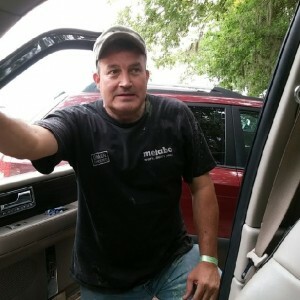 This entry was posted in Family Fun and tagged birthday party, discount paintball tickets, Houston paintball, paintball fields, paintball games, Texas paintball. Bookmark the permalink.